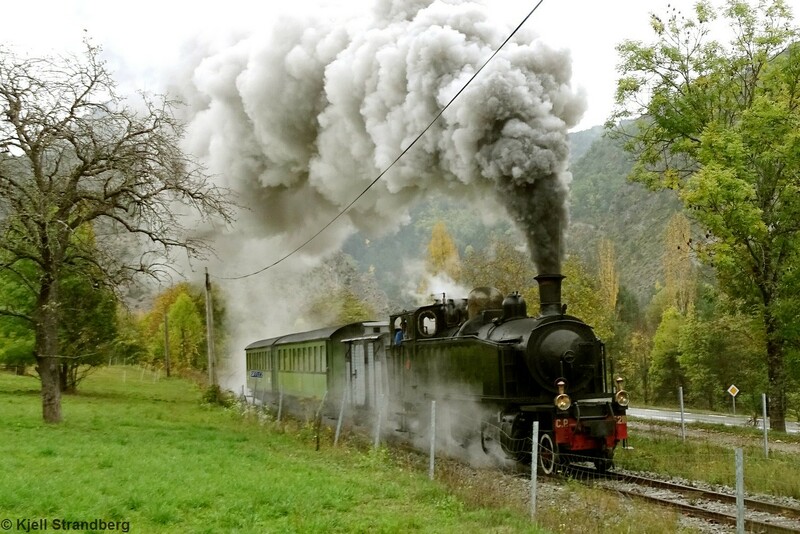 The 2016 season for Train des Pignes à Vapeur started on May 8 this year, as previous years with a journey extended to Le Fugeret and its village Spring Festival. 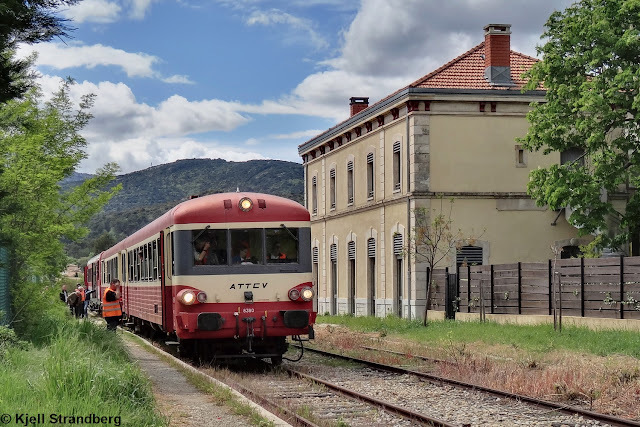 This year's Train des Merveilles - Retro, the railway journey with ATTCV railcar Caravelle X 4567 between Toulon and Tende took place on Saturday 14th May. 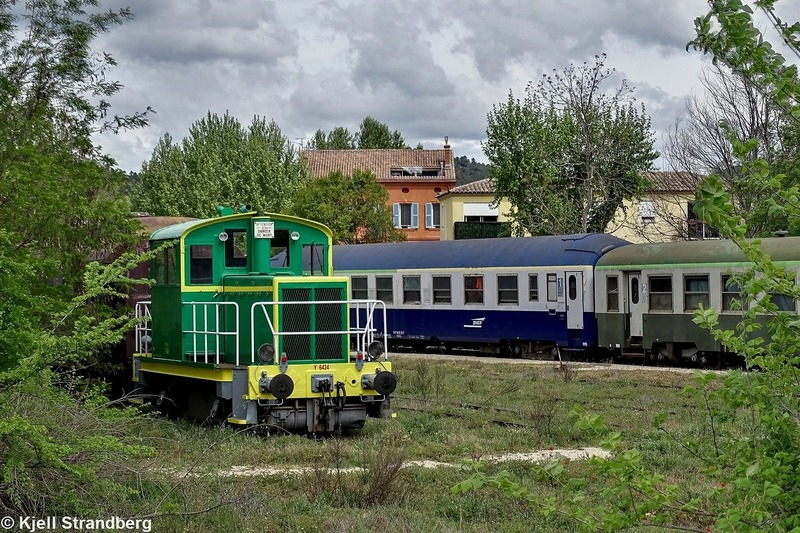 The non-profit heritage railway association ATTCV, created by a group of voluntaries in 1994, started on August 19, 2001, a tourist passenger service between Carnoules and Brignoles on the Carnoules - Gardanne railway line, using its only railcar at the time, the Picasso. 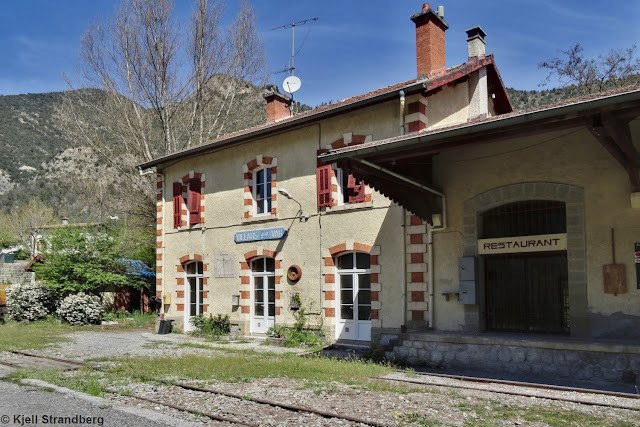 Since then the association has maintained a railcar service from April to November every year. And has drastically increased its collection of railway vehicles. To celebrate the 15th anniversary of this inauguration train, the ATTCV arranged during two days - Saturday and Sunday 23rd and 24th April - an event in and around Brignoles station. It's a calm, sunny Sunday in early April in Villars-sur-Var. Spring is arriving. It's really calm. Not a single person in view. The restaurant is closed. A team of ATTCV members undertook last Friday of January the task of removing the faulty engine from the association's railcar Picasso X 3976, as a first step in the engine's replacement. The replacement engine has already been acquired and is on site.